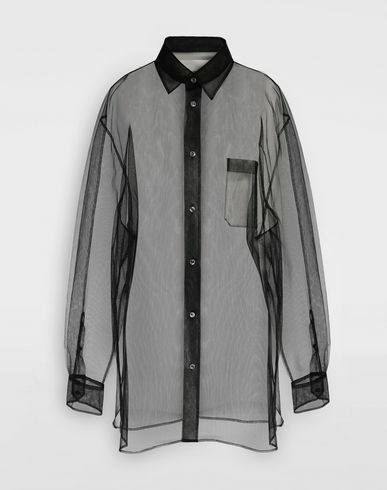 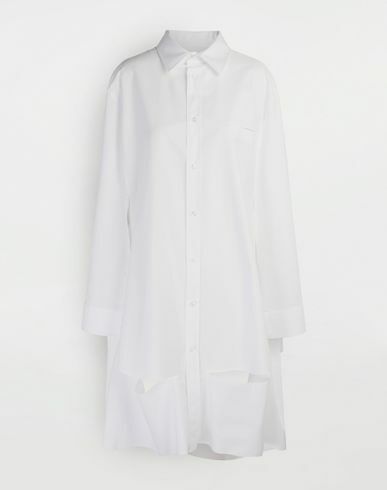 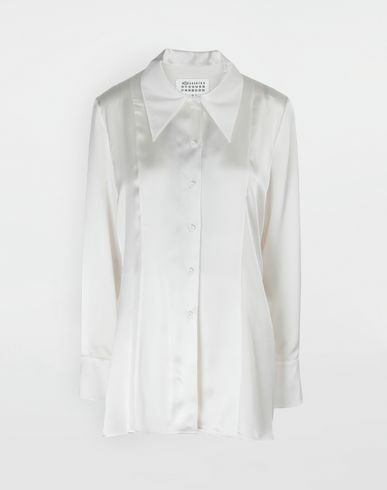 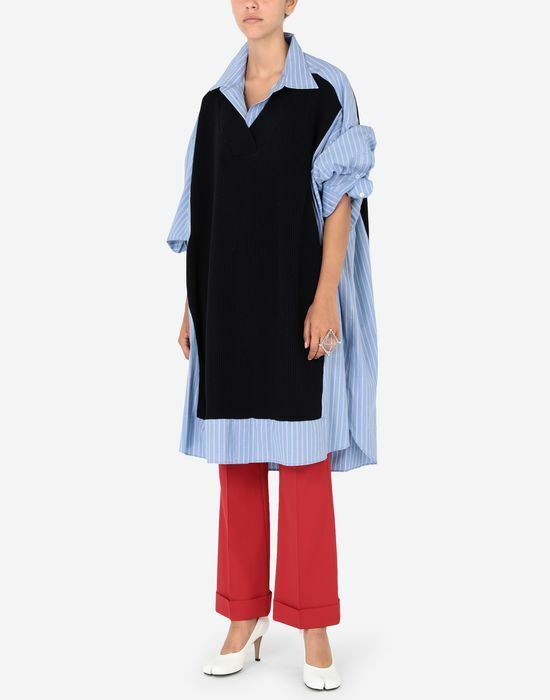 This two-in-one-effect tailored piece plays with the idea of classic shirting and a tank top, reconstructing the look for modern times. 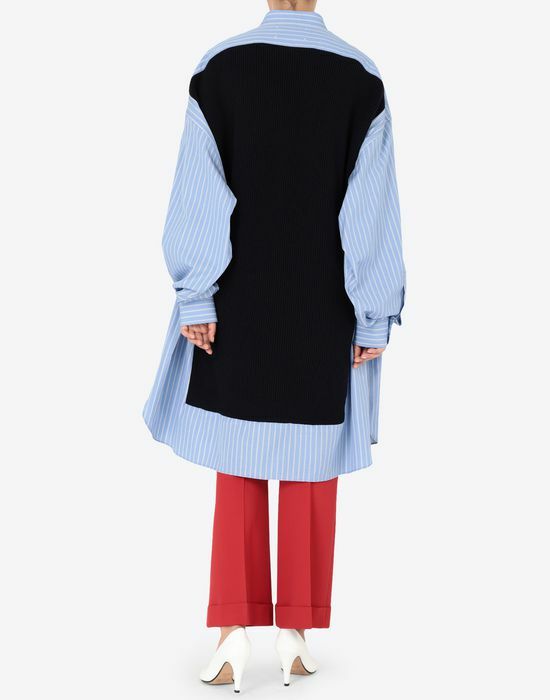 The cotton shirt in traditional blue and white pinstripe print is deliberately oversized and cut at the knee. 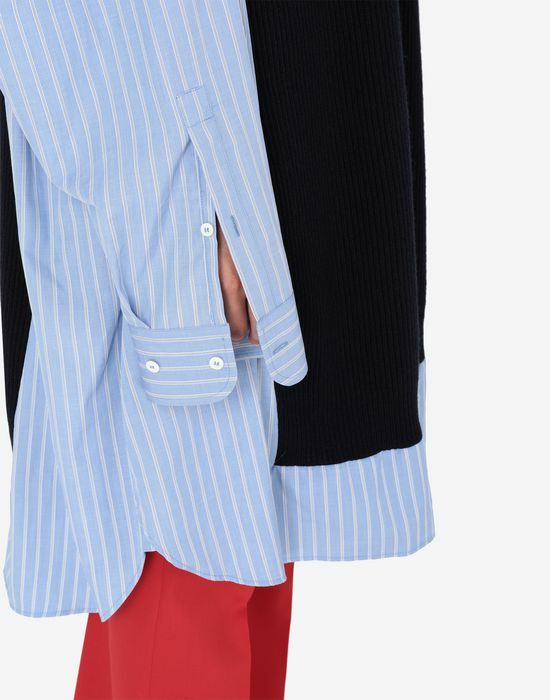 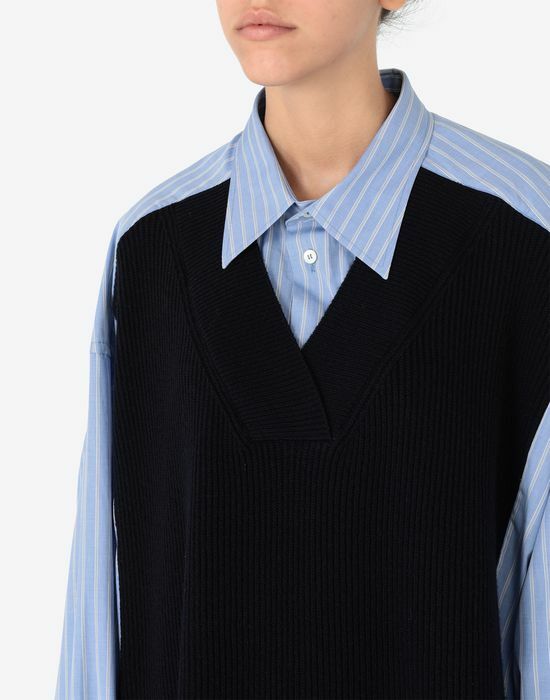 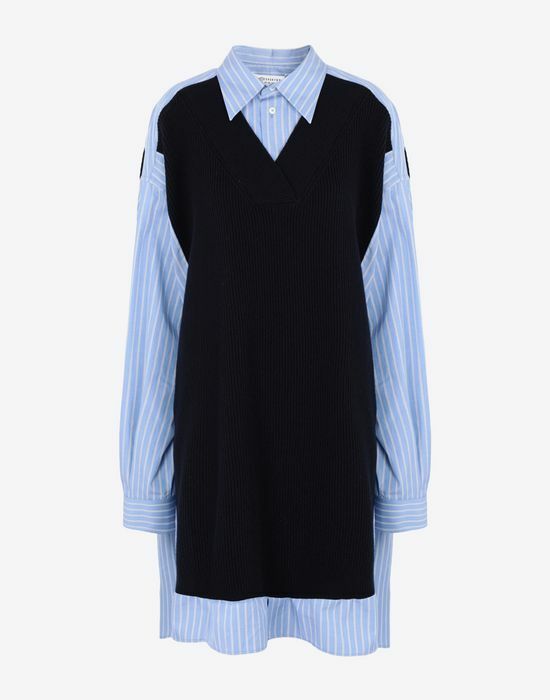 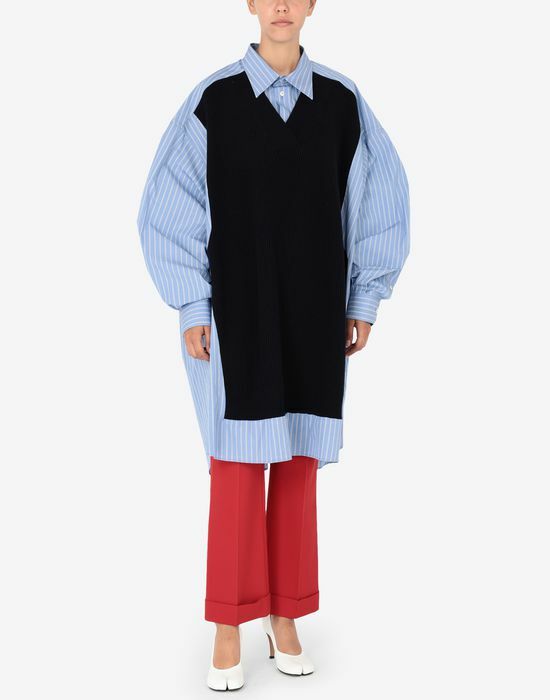 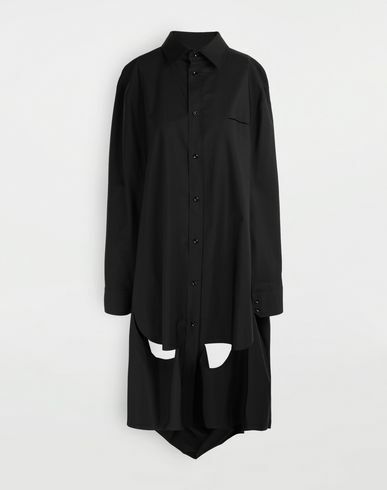 Extra-long sleeves are combined with a sharp collar, whilst a navy ribbed knit sits on the front and back, leaving the shirted shoulders exposed.